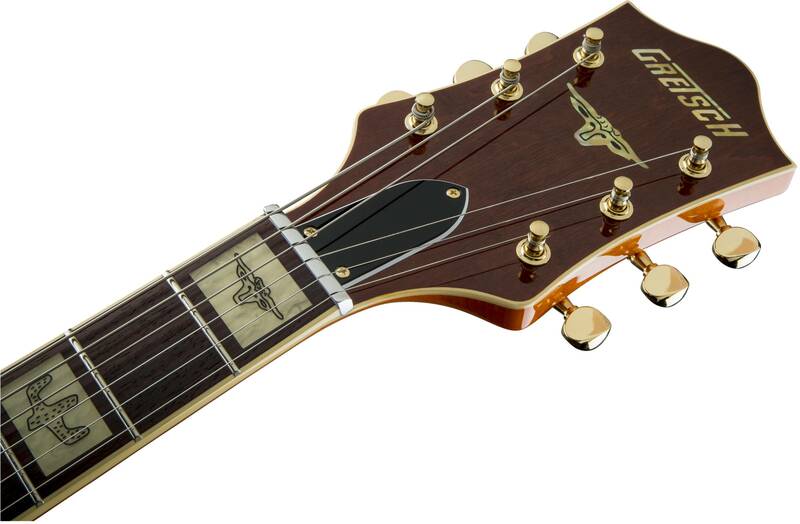 A pair of TV Jones® T-Armond single-coil pickups creates multi-dimensional tone with plenty of articulate detail. 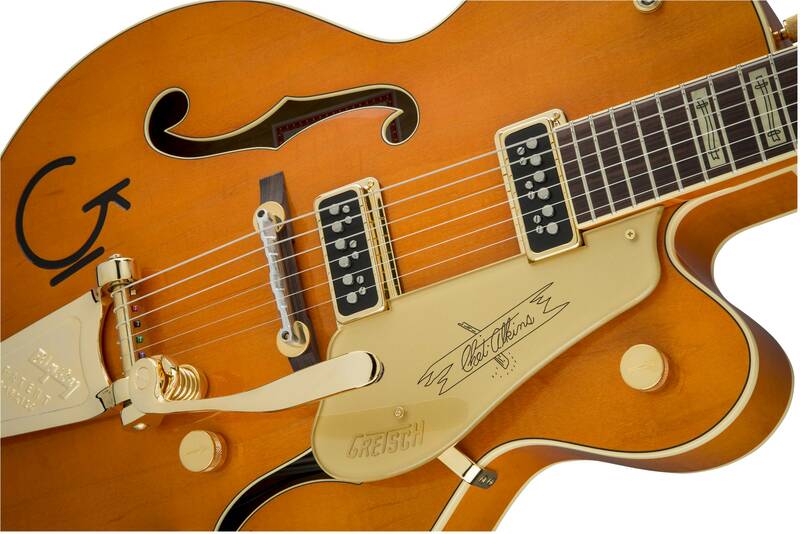 Traditional Gretsch controls allow you to blend and shape the pickups’ sounds, creating countless tonal variations. Add the new Gretsch “Squeezebox” paper-in-oil capacitors and you get incredibly smooth taper and silky vintage high end. The standard “U”-shaped maple neck bears a 12”-radius ebony fingerboard with 22 medium jumbo frets for a memorable playing experience that works with any fret-hand style. A pinned aluminum compensated bridge works with the Bigsby B6GBVF vibrato tailpiece for stable tuning while the vintage-style polished aluminum nut delivers signature snappy twang. 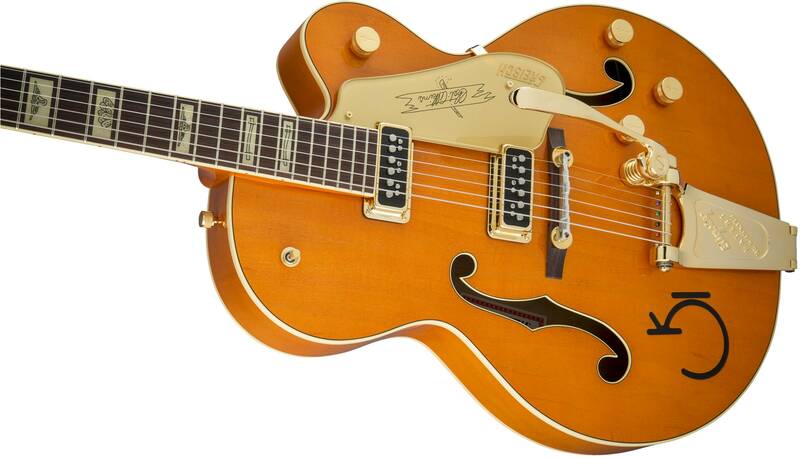 Designed for pure tone and slick, comfortable playing feel, this guitar features the classic appointments Gretsch fans desire—gold G-arrow control knobs, aged white binding with black purfling, durable gloss nitrocellulose lacquer finish, aged pearloid block inlays with classic Western motif, gold vintage thick plexi pickguard with Gretsch logo and gold Grover® Sta-Tite™ tuning machines. 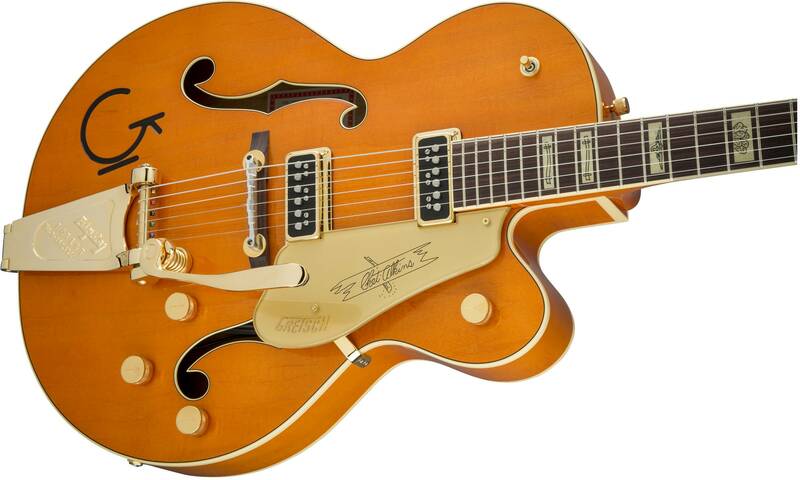 A resurrected blast from the past with elegantly refined style and sound, the G6120T-55 Vintage Select Edition '55 Chet Atkins® Hollow Body with Bigsby® is sure to satisfy any devotee of Gretsch’s golden era.